"During March a mass of bluebells set this unusual and difficult par 3. Measuring over 250 yards off the back tee, this requires a true strike as the ball enters the skyline. The tee is completely sheltered from any crosswind, creating problems for the player who ignores cloud movements. 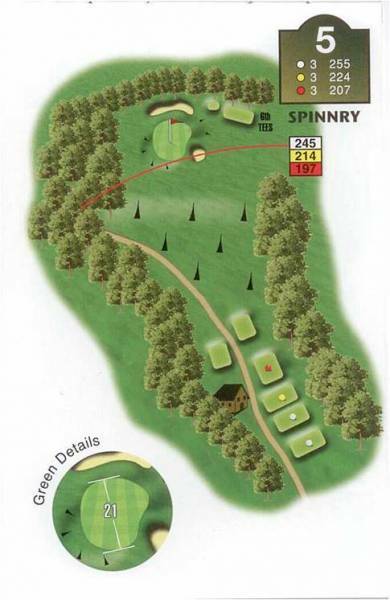 "The landing area is critical if you are going to find the sanctuary of the green, as the bunker on the right-hand side awaits the hesitant player."